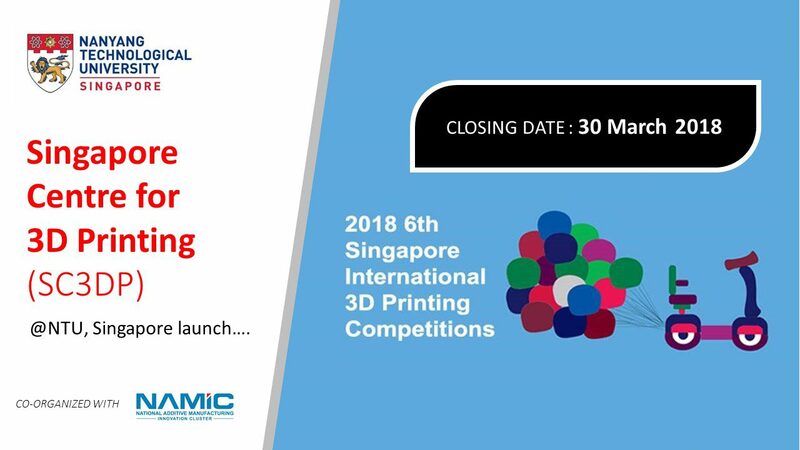 The competitions are organized by the Singapore Centre for 3D Printing (SC3DP) at Nanyang Technological University, Singapore to promote awareness and adoption of 3D printing technologies. 2.Mobility devices – a transport solution for the elderly. Only printed physical parts are accepted. Closing date of submission is 30 March 2018.